« How To Convert Mp4 to Mp3? How To Create a Shared Folder? Perhaps the biggest advantage of the Windows 7 is the secured networking tool which allow easy sharing of resources from one PC to another. Less time can be spent drafting emails and attaching the files, waiting for the documents to get uploaded. Instead, you can create a shared folder and work within that folder. All the changes you make on that folder, be it adding documents or deleting files, can be seen by the rest of the people synced with the network. This, in return, ends up saving a lot of time. 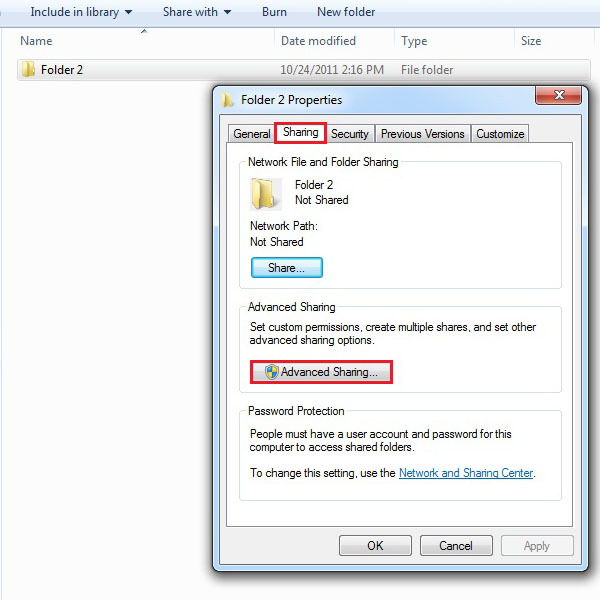 Other people can get shared files updated as soon as they open the shared folder. All files and folders are updated in real-time, as you make the changes. First of all, you have to create a new folder. 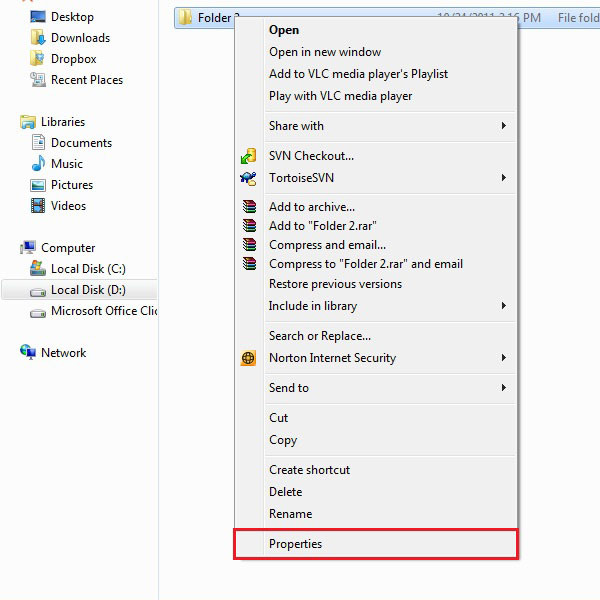 For this purpose, right click on the screen and select “New” and then select “Folder” to create a new folder on desktop. 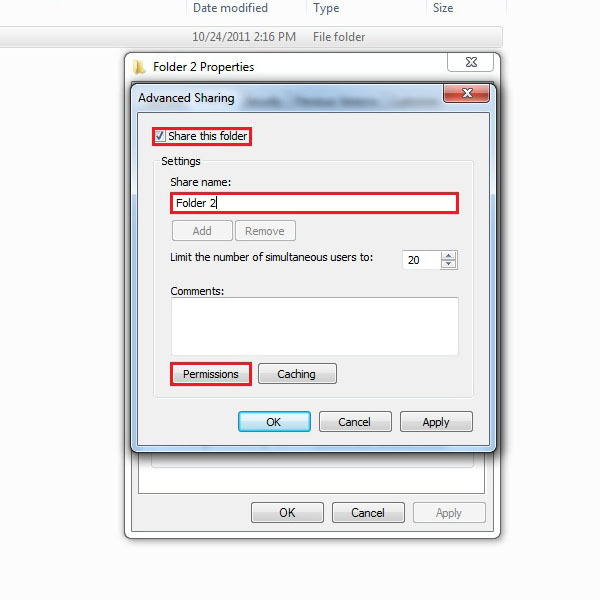 If you already have created a folder and want to share it with a network, simply locate the folder and select it. Right click on it and select “Properties” from the menu. A new window will appear. First of all, move on to the “Sharing” tab and then click on “Advance Sharing” button. Click on the check box titled “Share this folder”. After that the other options, below, would get enabled. Here you can change the name of folder. If you wish to add a description or any other comment then you can write it in the “Comments” text box. 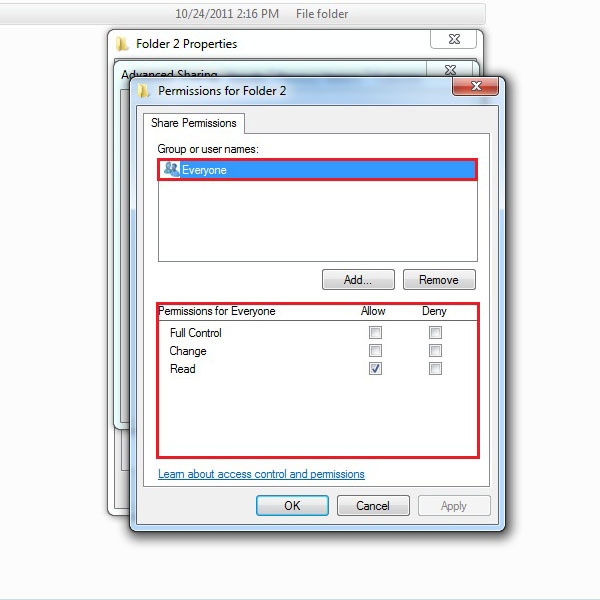 You can even limit the number of simultaneous users accessing the folder at the same time. After you are done with the settings, click on the “Permissions” button. Here you can change the permission level for other users from full control, allowing users to change practically anything within the folder, to just minimal read only options, which allows users to only view the changes..
After you are done with the changes, simply click on the “OK” button and you are done. Now you can start putting in files into that folder, and those would be shared with every user on your network.